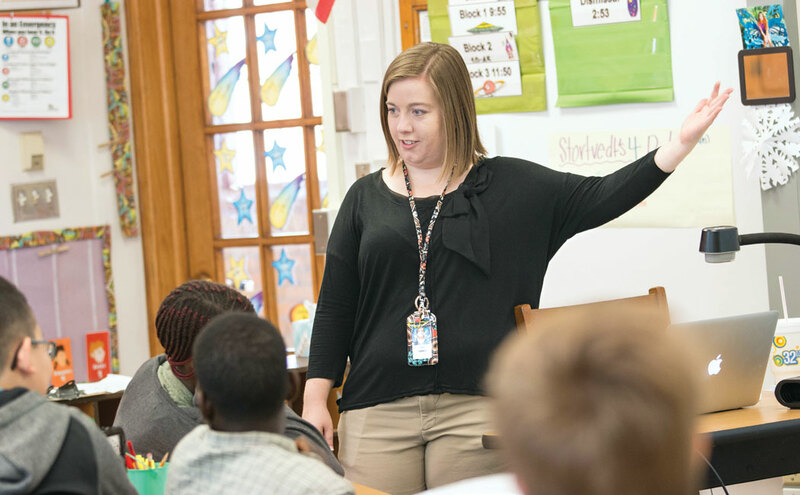 April Stortvedt teaches her fifth-grade class in Lincoln, Nebraska. Stortvedt participated in TAPP for Latino Families along with one of her students. April Stortvedt addresses her fifth-grade students as they prepare for upcoming book presentations. Behind her, a laminated poster outlines her four classroom rules: Be respectful, be honest, be responsible and follow directions the first time. According to Stortvedt, a CYFS research study has helped one of her students better abide by these classroom rules. 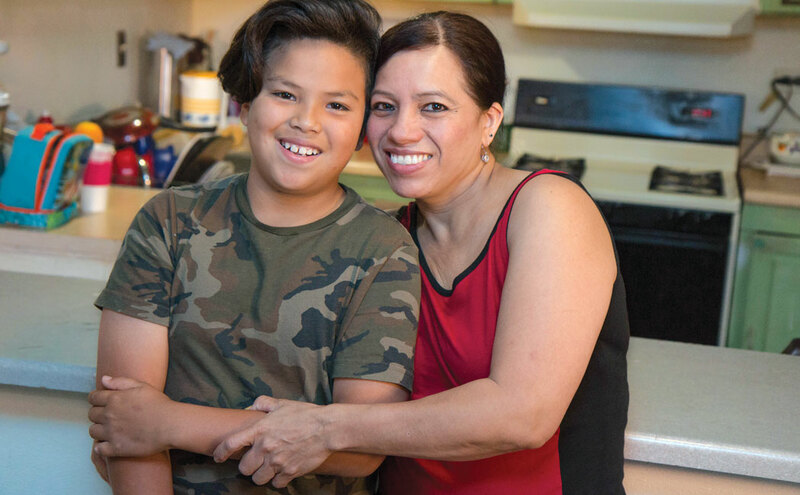 Through the study, Teachers and Parents as Partners (TAPP) for Latino Families, Stortvedt collaborated with her student’s parent to improve behavior at home and school. TAPP is an evidence-based program developed by researchers at the University of Nebraska–Lincoln, including CYFS director Susan Sheridan. It is a structured, problem-solving process that aims to strengthen collaboration between families and schools to improve students’ social, behavioral and academic outcomes. Funded by the U.S. Department of Education’s Institute of Education Sciences, the current study focuses on building relationships between schools and Latino families; more than 90 K-5 classrooms in Nebraska and Colorado are expected to participate in the study’s ongoing enrollment. Aquilina Urias (right) with her son. Aquilina Urias is one of the parents who participated in the TAPP study. Her son was unfocused at school, she said, and didn’t follow directions well at home. She worked with Stortvedt, her son’s teacher, to implement a joint plan at home and school. According to Urias, the TAPP approach helped her son stay focused and also opened up new lines of communication. The study’s research team includes Sheridan; Brandy Clarke, assistant professor at the University of Nebraska Medical Center; Lorey Wheeler, CYFS research assistant professor; and Kristen Derr, CYFS project manager.